While away during the week to pay my last respect to the loved ones that are departed, I do also remember that I have other responsibilities for the living which includes letting the world know that Nigeria is decaying every second the dictator in chief remains in charge. Still on the mourning ground, I try as much as I can to fulfil the obligations of escorting the dead and have a tincture of time with my fellow Biafra writers before the day fades away. Having been able to fulfil the mitzvah for the departed, who could no longer speak for themselves, this quickly reminded me of the people alive but who have similarities with the dead - those living but who can equally not speak for themselves. It came to my mind that we have our people who are incarcerated in various dungeons called prisons who cannot speak for themselves just like the dead. I opened my pad to check some news piece and guess what I saw, "Anyadike remands IPOB in prison, backs out after his life was threatened." I clicked to another page and read another piece very similar to the first one, "Barrister Nnamdi Nwokocha withdraws his suit on Buhari's certificate forgery says his life and that of family are being threatened." I quietly logged out as I sat pondering on the news piece I just read. It came to my full realization that the man who promised people change during his election campaign in 2015, has turned to be a ruthless dictator, pouncing on every person that challenged him to do the right thing. I wondered why well-trained and disciplined legal luminaries like Nnamdi Nwokocha and justice Anyadike would suddenly back out of such established and sensational cases, especially the certificate saga if there was no threat to their lives. I could not imagine that a man as old as Buhari who is supposed to be preparing himself for his final existence on planet earth, would still be adding more wounds to an already deadly injury. 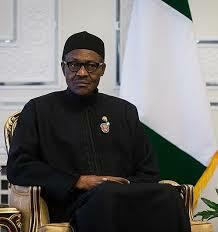 Is Buhari not complicating matters? Does his threats to the lawyers and judges who are handling his alleged forged WAEC/WASC certificate make him guiltless? Does his threats on justice Nwokocha exonerate him from the guilt of certificate forgery? Buhari claims to be an ardent Muslim, but those who are versed in Islam knows very well that Buhari is simply highly hypocritical. His Islamic beliefs and practices are all fake and I challenge him to prove me wrong. If at his age, he deceptively prides himself in dictatorship, it is a grave sign that he is not practicing what the Holy Koran preaches. In fact, the Koran speaks of doing good and having the right belief, saying that each go hand in hand in Islam. Doing good in practice is the proof of having the right belief in the heart. This is why the Holy Quran speaks of true Muslims very often as "those who believe and do good deeds. "Both the Quran and the Holy Prophet have told Muslims that the best among them is that person who shows the best behaviour towards other people." If Buhari believes in his Koran, where are the "good deeds and right beliefs" in him? If he sends his killer squads to threaten the lives of lawyers, would that be the good deed spoken of in his Koran? Buhari forged his certificate, should that be regarded as the good deed being spoken of in his Koran? It is crystal clear that Buhari's life style does not reflect any atom of Koranic messages in Islam even though we falsely address him as a Muslim. He is rather a power-drunk, deceptive, ruthless and nefarious dictator whose end shall be according to his evil works. We do not need to tell him what has happened to dictators before him and how they ended up. If humans are frowning at your evil acts, how then would God regard you and your evil? It is quite surprising that God-fearing elderly men at Buhari's age uses their auspicious time to amend the mistakes they made in their exuberant days while Buhari adamantly continues to complicate issues for himself and everyone. Buhari should amend his ways before he goes like Sadam Hussein or Gaddafi. A stitch in time saves nine.